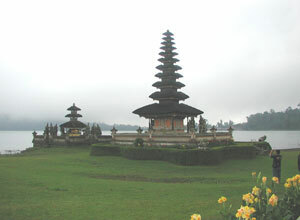 Bali Yoga The temple Ulun Danu Beratan located on Bedugul highland. They are sitting by lake like calm. 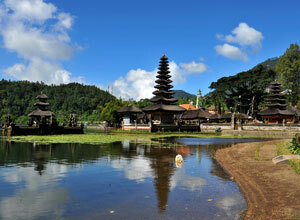 It is beautiful view of the temple reflected on surface of water. 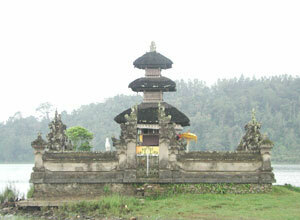 The temple is dedicated to female god of lake Dewi Danu. 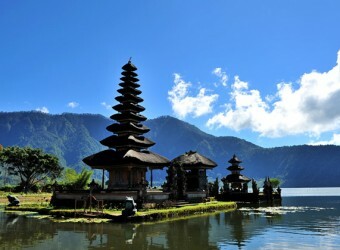 The water filled up inside temple onece a year which people belived the lake purify for god. 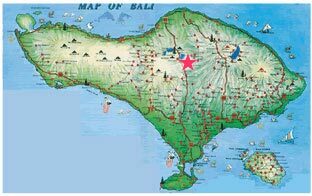 It is mysterious sigh also one of the power spot in Bali. ・ Information might be changed without notice. 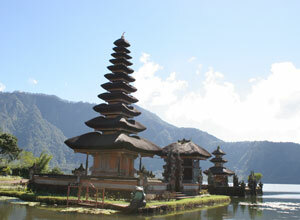 A temple with the beautiful view, it’s really good to take a walk around this place. 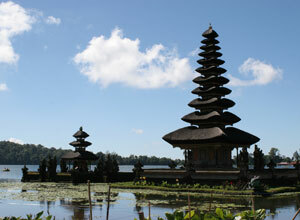 It was only a few tourists visit this place, I could get relax. The praying local people are also picturesque.